Tapioca is one of the oldest foods of Brazilian culture. Before the arrival of the Portuguese , tapioca was already consumed by indigenous people from the north and northeast regions. Today, tapioca is still popularly known as a tasty, healthy and functional food. With no gluten and low in calories, the versatile tapioca is also present in slimming diets. For the tapioca package design we first redesigned the logo. The updated image is visually stronger. The word Tapioca was written with typography inspired in indigenous drawings, a reference to the product´s origin. The background decorative pattern also followed the same inspiration. Important: we left a good area for product viewing. 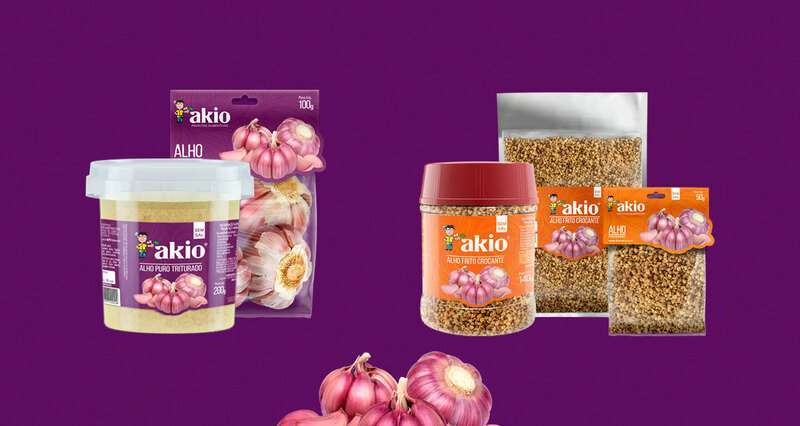 We also redesigned garlic packages for Akio: in natura garlic, crushed garlic and crunchy fried garlic. We standardized visual communication for all the line, creating an unity in consumer´s perception. 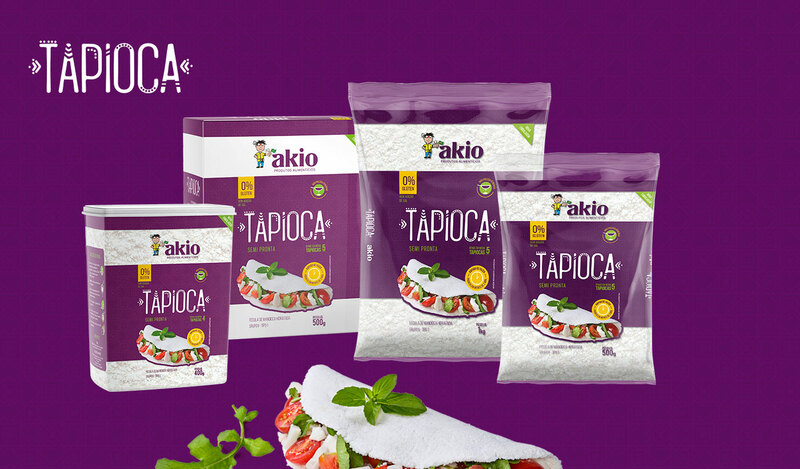 This enables easy recognition of Akio´s products and increases consumer´s confidence. In addition, we created a mini campaign for points of sale and the website. Those actions significantly increased product´s sales, also improving the brand´s image.